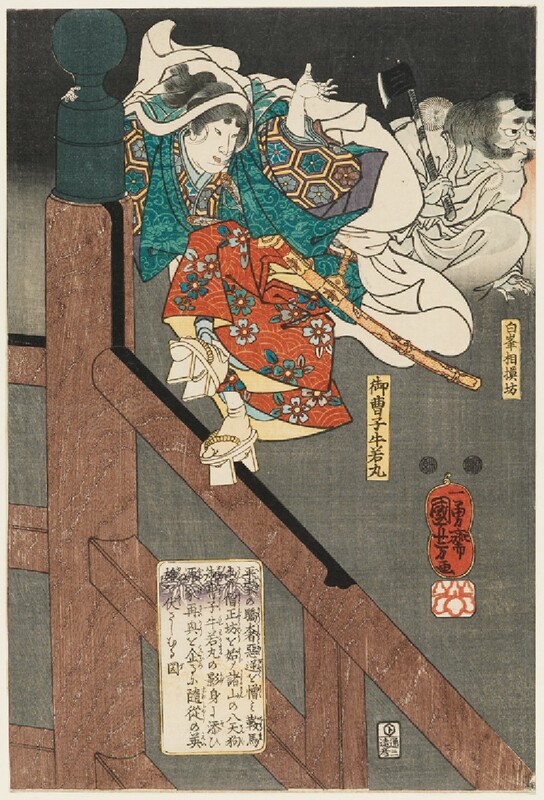 There are many legends about the great twelfth-century warrior Minamoto no Yoshitsune. In this episode the eighteen-year old Yoshitsune is challenged by the ferocious soldier-monk Benkei, on the Gojō Bridge in Kyoto. 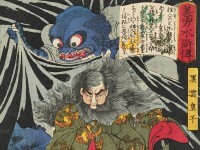 Despite his youth and size, Yoshitsune defeats the mighty Benkei by using the magical fighting powers he has learnt from tengu mountain demons. After this episode Benkei becomes Yoshitsune’s faithful retainer.